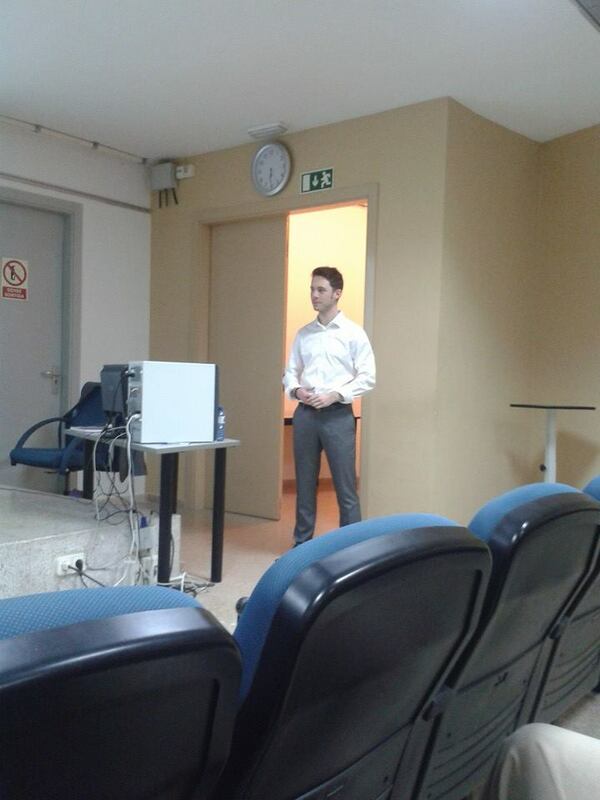 Yesterday I defended my Ph.D. It all went really well and I had lots of people come along to support me, which was fantastic. Thea, Bruce, Evan and Steph also all came from Australia (by way of various length routes) as well. Now it’s time to relax a bit and enjoy the Christmas holidays. Research will continue, but that’s something for next year. I’ll write a bit more about the defence later on. This entry was posted in Life, Mathematics and tagged Ph.D. Thesis, PhD, PhD defence. Bookmark the permalink. The old english words from which my name is derived, hēg 'hay' + denu 'valley'.